The Marvel Cinematic Universe is in a tricky place right now, with much of the studio’s plans a complete mystery to the general public. There are just two movies left in the massively successful Phase Three, with almost nothing known about the shared universe after Avengers: Endgame finally arrives in theaters. This includes the fate of franchise like Guardians of the Galaxy, Black Panther, and Ant-Man. It looks like Michael Douglas is in the dark like the rest of us, regarding the future of the Ant-Man franchise. But given how successful Peyton Reed’s first two movies were, it would be surprising if Marvel Studios didn’t round it up to a bonafide trilogy. This update just shows how tight security is over at Marvel Studios. While every blockbuster works hard to keep its secrets, things have gotten all the more intense since Avengers: Infinity War arrived in theaters to devastate moviegoers. In order to keep spoilers to a minimum, Marvel hasn’t released Phase Four’s schedule, or revealed any upcoming blockbusters other than Spider-Man: Far From Home. As such, plans for the Ant-Man franchise are also not being revealed– even to the cast. You know I can’t say a word about that. They have one of those machines that, as soon as you say the word ‘Avengers,’ a blowgun comes to the side of my neck. While Michael Douglas may have side stepped questions about his possible Endgame role, it seems logical that Hank Pym might pop up during new highly anticipated sequel. Moviegoers saw Hank, Janet, and Hope fade to dust as a result of Thanos’ finger snap of death, leaving Paul Rudd’s Ant-Man stranded in the Quantum Realm. Good news: Janet somehow manage to live there for decades, even picking up some abilities along the way. Bad news: we have no idea how, and it doesn’t look like Scott is ready to be left in the mysterious setting for any length of time. 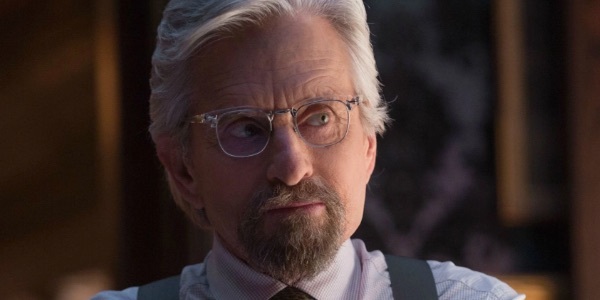 Ant-Man and The Wasp is currently streaming on Netflix, and Michael Douglas will hopefully pop up as Hank Pym in Avengers: Endgame on April 26th. In the meantime, check out our 2019 release list to plan your next trip to the movies.